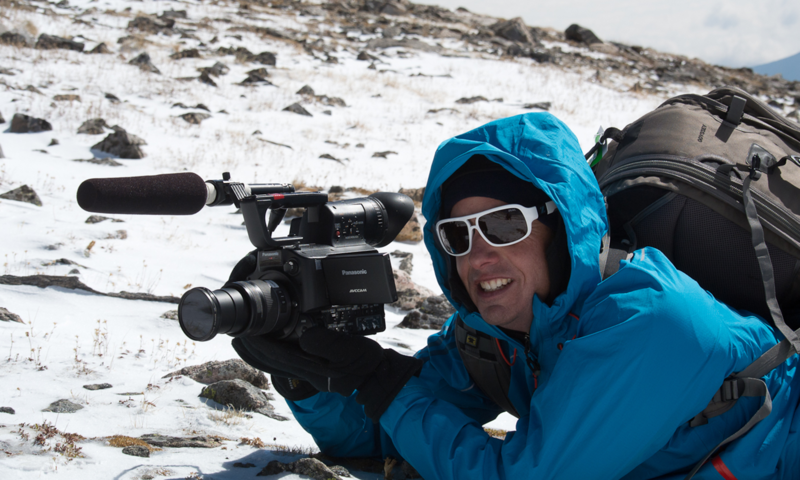 In our second behind the scenes series, “We Ask, They Answer,” we introduce you to Didrik Johnck, Soldiers to Summits’ Adventure Videographer. Didrik’s work is Emmy, Telly, CINE and Lowell Thomas Gold Award winning and worthy, and we’re delighted to have him and his team join the Mission: Mt. Whitney journey to share its stories. Didrik reveals how he helps the Mt. Whitney Team overcome one of life’s most daunting obstacles: camera shyness. Q: It’s a challenging journey to climb a mountain with the injuries from which these service members are recovering. Why should they feel comfortable, as a part of that journey, to have a camera capturing the experience? A: Being comfortable in front of a camera is easy for some and difficult for others. Comfort can be achieved by feeling a sense of trust that the intentions of the people behind the camera are noble. This is not a reality show seeking to expose the darkest secrets of someone’s life. We are here to share the incredible experience (and hopefully positive transformation) that many of these vets will go through. We strive to be sincere and honest with those in front of the camera. We want to inspire people (vets and non-vets alike). Knowing that their story may help another vet struggling with similar issues hopefully provides a level of comfort to those awkward moments where a camera lens might feel intrusive. Q: Why do you feel it’s important for them to open up to a camera and mic? A: The short answer is very simple; I feel it’s important because opening up to a camera and mic is the first step in this experience to sharing their story, and sharing their story might inspire other vets with similar circumstances to take positive action in their lives.